THE MINISTER of Education, Dr. Mathew Opoku Prempeh aka Napo, has descended heavily on ex-President John Dramani Mahama. According to him, Mr. Mahama's National Democratic Congress (NDC) government was full of failed promises. 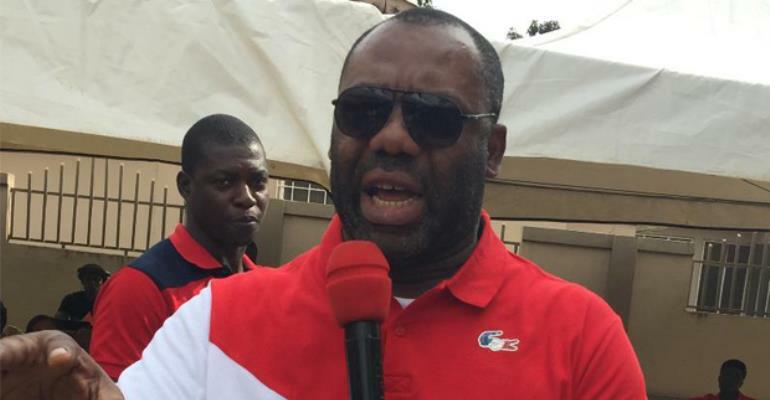 Napo indicated that the NDC administration gave inspiring promises to win the 2012 polls, but woefully failed to deliver them. Mr. Mathew Opoku Prempeh jabbed Mr. Mahama, particularly for failing to construct the 200 day senior high schools in four years as promised. He therefore, wondered why the former president and his appointees – who failed to improve infrastructure in schools – are now accusing the NPP administration, which is a little over a year in office, of not providing the schools with infrastructure. “The ex-President John Dramani Mahama-led NDC government promised to construct 200 Day SHSs across the country within four years. In the end, they could not even construct 50 of the schools that they promised, to contain the swelling student population syndrome, across the country. “Interestingly, Mr. Mahama and his appointees, after failing to improve the infrastructure of our education, have turned to blame the NPP government. The education minister was speaking in an exclusive interview with award-winning journalist, Kwame Sefa Kayi, on Peace FM in Accra on Monday. He said the educational sector would have experienced massive transformation by now, had the Mr. Mahama-led NDC government been a little proactive. According to him, the NDC mismanaged the affairs of the educational sector, adding that the NPP administration is now working to restore normalcy. Napo announced that several pragmatic policies and programmes are already in the pipeline to help better the educational sector.